With the minimum of fuss, one of the UK's (perhaps the World's) foremost electronic musicians releases his tenth LP. No press agency, no media campaign, just a casual tweet and it's here. This immediacy is carried through into the music on offer. The track lengths are shorter than we've become used to, with Hebden getting straight down to the nitty gritty and distilling his complex melodies and rhythms into their most potent form; no ambient preamble or sprawling kosmiche on this one. 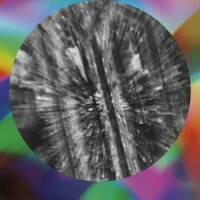 Instead, Four Tet continues the journey through club music he began on "There Is Love In You" and "Pink", now taking the fire escape out the main room into a strip lit car park. "Beautiful Rewind" acts as part pirate radio jungle assault and part post club come down bliss. Hebden feeds the jungle chatter, polyrhythms and bass wobble through his own experimental and dense production to create an immersive yet raw experience like listening to Rooms 1 and 2 at the same time from the depths of a K-Hole. Album opener "Gong" and recent single "Kool FM" and the murderous "Aerial" and "Buchla" are bold and aggresive, while "Unicorn", "Your Body Feels" and "Ba Teaches Yoga" could sit comfortably with the fragility and beauty found on "There Is Love In You". Always wishing to push forward, Hebden has delivered some of the old, alongside a generous helping of new, casting his net wider and pulling varied influences together to form a complete and unique LP.